for film promotion on 18.05.2014 at Kolkata. Blogger Engagement & live Google hangout interacion in collaboration with Kolkata Bloggers and Google. 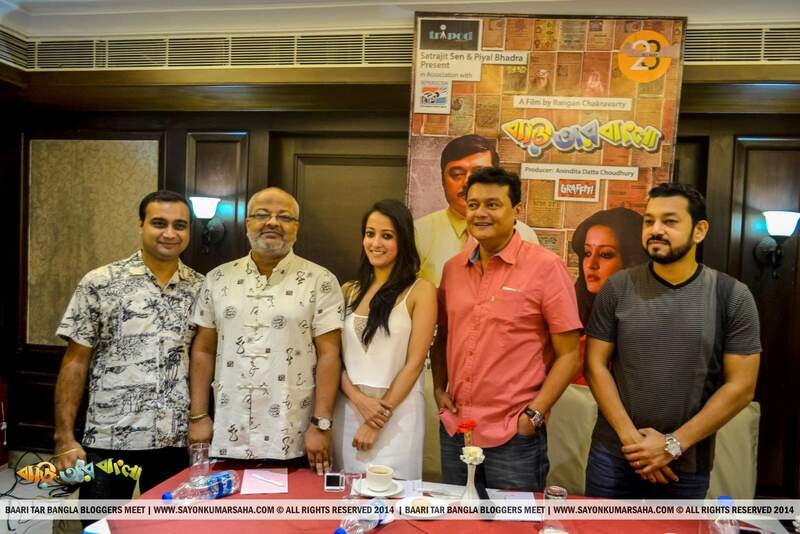 Got any question for Saswata Chatterjee, Raima Sen or Rangan Chakraborty? Ask them directly – yes – directly. – absolutely free. Participate in the Hangout on Air with Saswata Chatterjee, Raima Sen & Rangan Chakraborty in a Google+ Hangout on Air, organized by Baari Tar Bangla team. “Huko mukho hengla, Baari tar Bangla”- sounds fun right? Yes the movie is, and even more the day I went along with my fellow bloggers and photographers. 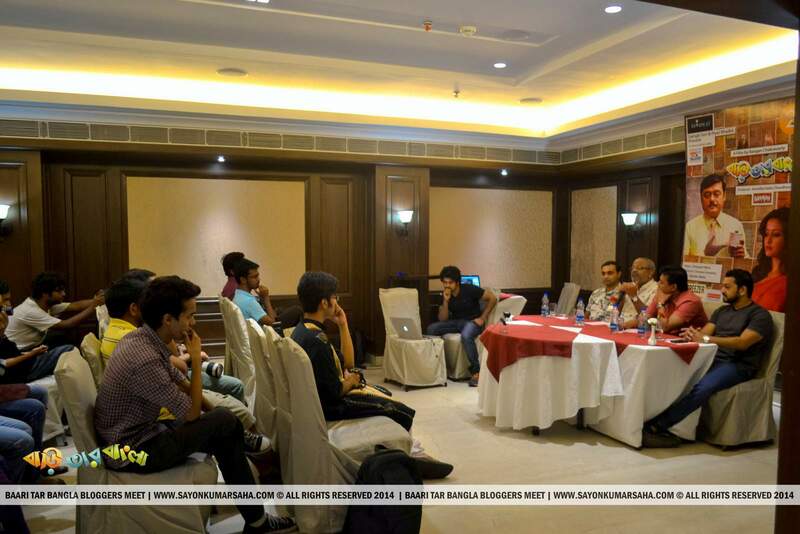 It was the promotional event through a bloggers meet, for bloggers are a good way to connect to people. The movie is based on political satire. Roopchand Sen, (Saswata Chatterjee) a man of around 40, suddenly discovers that he cannot write anything in bangla (Bengali language) any more. 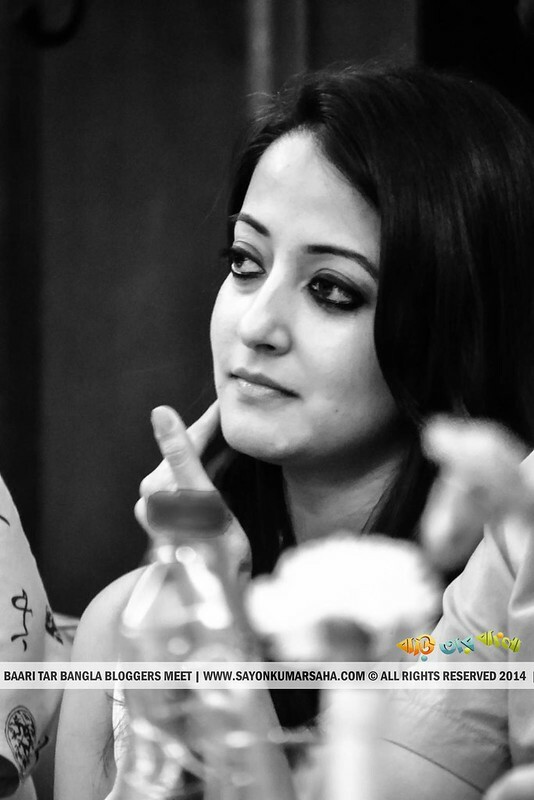 Desperate to regain his abilities to write in Bangla, he goes to a psychiatrist (Raima Sen). Tests show that he does not seem to have any physiological problems that may cause any disability. It turns out to be a psychological problem. Then how does Roopchand gets his ability back to write again? That is all the movie is about. It is a fun filled story with lots of witty one liner that are sure to catch the viewer’s attention. To say about the day, it was just awesome and was an all new experience for me. Watching the stars, the director and the producer was just the perfect thing. 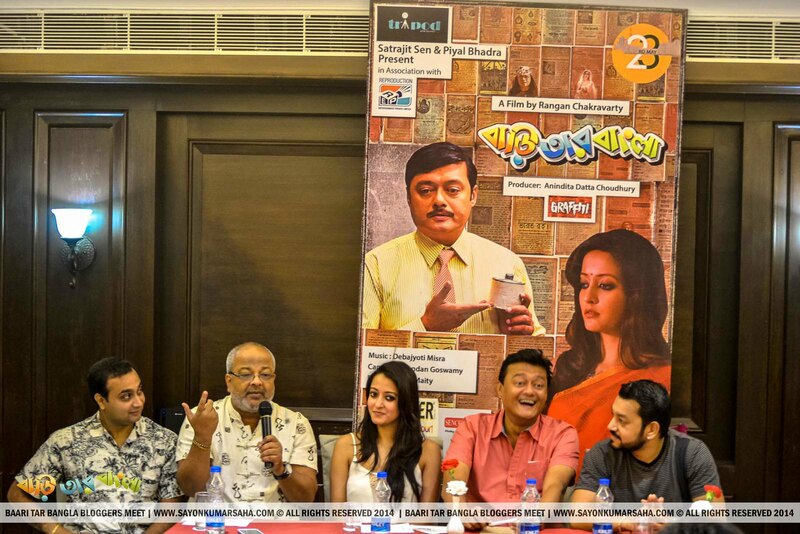 Although nervous, I still managed to ask a few questions to Saswata Chatterjee and Satrajit Sen.
Me: Nomoshkar, ami Bob Biswas…..noi! Me: Among the three great characters- Bob Biswas, The Doctor in Rang Milanti and Roopchand in Baari Tar Bangla, which do you feel was most challenging and why? Me: We see a lot of bollywood and tollywood movies. Some come up with good concepts and some with pure entertainment. But this Movie has both good concept and entertainment. So why don’t we see this kind of movies in big picture. Or when will we see this kind of movies at National level? Satrajit Sen: “When you will go watch the movie and tell your friends to watch it too. Actually amader screening hoi 40 screens e. R Dabbang screen hoi around 6000 screen e.(We screen our movie in 40 places. Whereas Dabbang is screened on 6000 screens) This is the ratio. We still have miles to go but asha kori amra jete parbo. (Hope we can reach there). From the very beginning, they made us feel comfortable and were extremely hilarious, till the end. 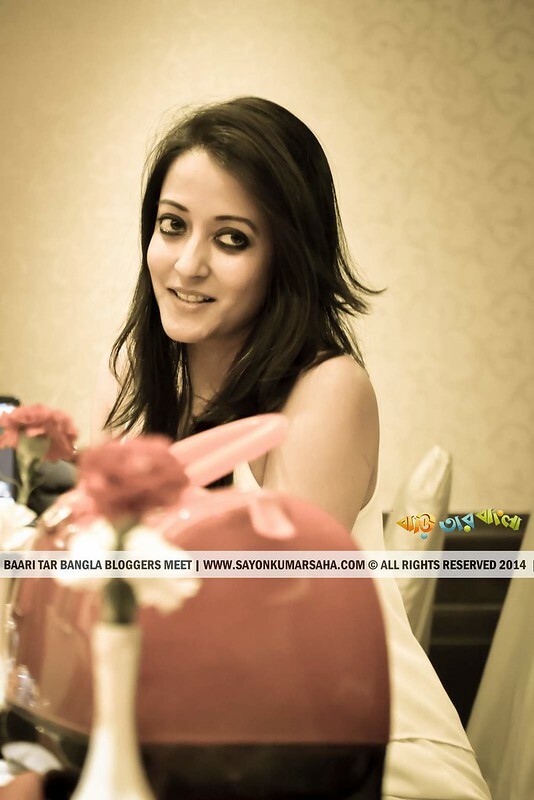 Then there was the gorgeous Raima Sen. How can I forget that? The moment from which she entered into the room, till she went out, the only thing I did was stare at her face :P. They shared a lot of their experience with us. 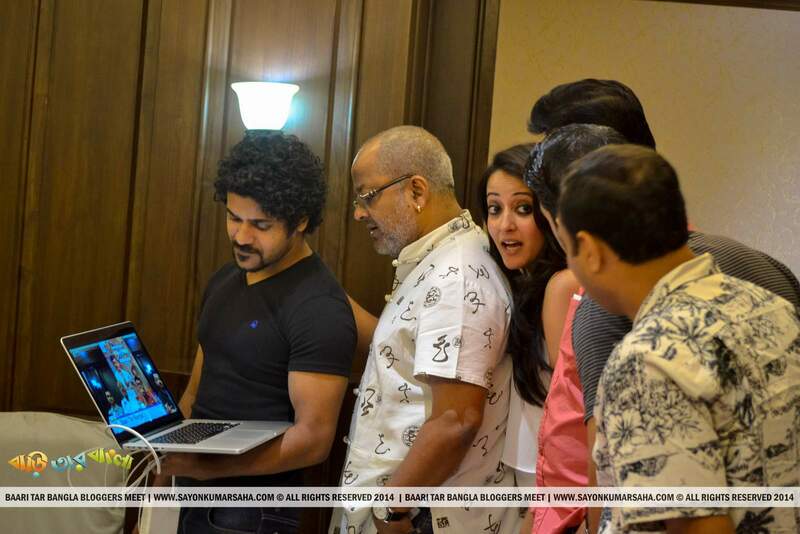 The funny moments, how they worked hard for the project, how the actors managed such a creative role and many more. We even got to know that when Raima has had her solo shoot, Saswata was not allowed in that floor because of his mischievous looks. Interacting, receiving autographs, taking solo pictures with them made my day. But again the day opened a new window for me. It had also gifted me with new friends, new opportunities and also good will. I am really grateful to people like Anirban Saha, Kamanasish Roy, Sayon Kumar Saha, Mukut Chakraborty from Google, and many more, without whom this would have been incomplete or rather impossible for me. Currently admitted to IISWBM for my MBA. A writer and sketcher by heart. A Wanna be Entrepreneur. Presented by Satrajit Sen & Piyal Bhadra. Organized by the Digital Partner of Baari tar Bangla: Kamanasish Roy and Mukut Chakraborty from Google. 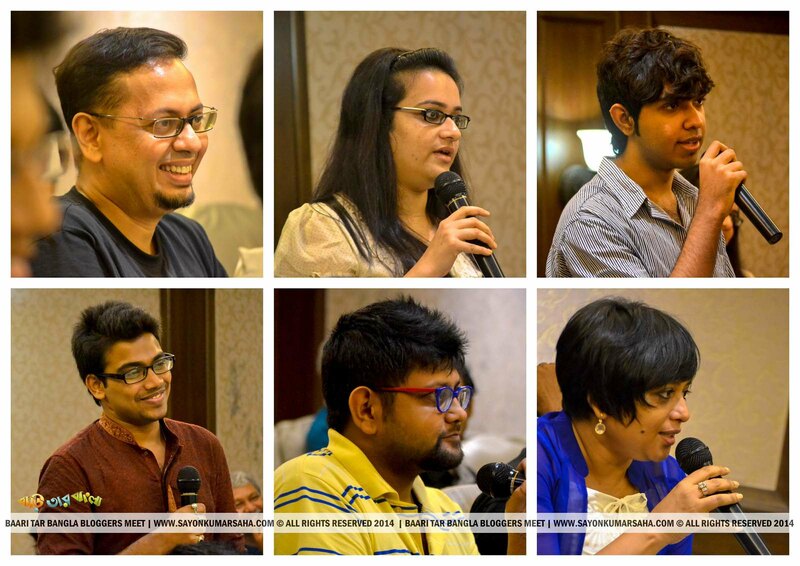 Bloggers who attended the meet: Anirban Saha, Saimantick Bhadra, Deeptiman Chatterjee, Parama Ghosh and Sayon Kumar Saha. 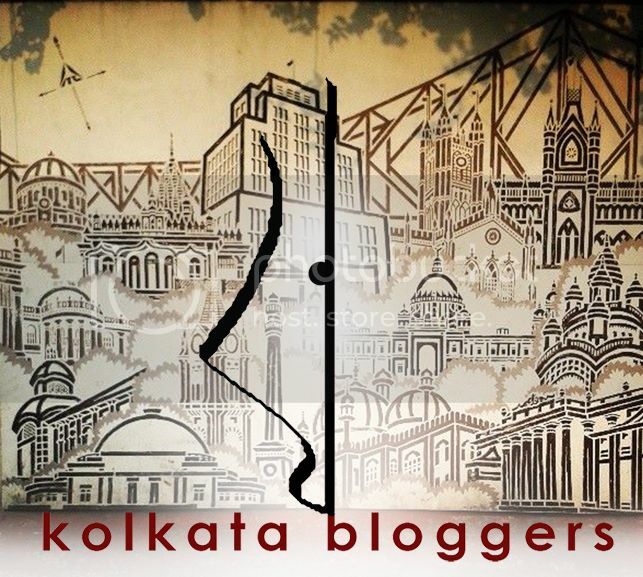 Kolkata Bloggers, bringing to you the best of Bloggers from Kolkata. An attempt to promote blogging (through knowledge and experience sharing) and original content creation. To promote blogging for the sheer fun of it and not just money making. The initiative is still in its infancy. Perhaps, its first minor step is the blogger engagement program of “Bari tar Bangla” film. Our aim : Spread knowledge, spread awareness, spread happiness.